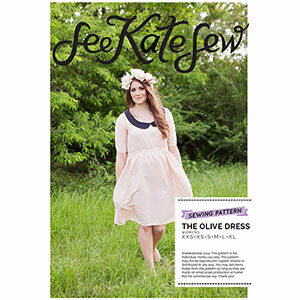 The OLIVE dress is an elastic waisted dress with a peter pan collar and side pockets! 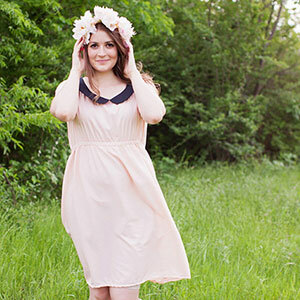 The ruched waistline makes it easy to sew and flattering for all body types. Perfect for beginners- no closures, simple to sew and easy to fit!